In 1858, Edward Billington began a trading company in Liverpool, England. He began by importing tea and coffee for the hungry English market, it wasn't long until his discontent grew. He added sugar to his imports list, and history was made (well, for Billington’s at least). Billington’s of 150 years ago was undoubtedly quite different to the Billington’s of today – but that hasn’t stopped their superior products, and partnerships with some of the finest sugar producers in the world. 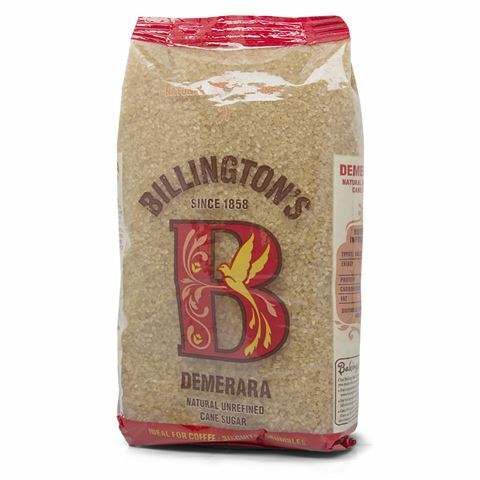 Their prime example is the island of Mauritius, where Billington’s work closely with local growers and producers to create the finest natural cane, brown and golden sugars available. And fine ingredients mean fine cooking results! Billington’s sugars are all unrefined, meaning that they have been simply made by pressing out, cleaning and crystallising the juice from the sugar cane. Billington’s sugars add colour, texture and flavour. They’re perfect for baking, or for simply sprinkling over cereal or fruit. You’ll never look at plain white sugar the same way again – not with Billington’s in the pantry. Demarara sugar possesses a rich depth of flavour, and is perfect for coffee, biscuits, crumbles and caramelising.